Newcomer Family Obituaries - Susan Elaine Brostuen 1960 - 2019 - Newcomer Cremations, Funerals & Receptions. 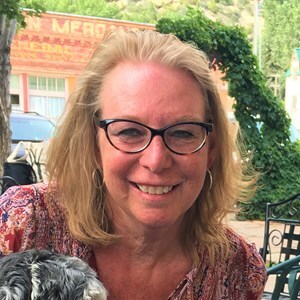 Susan Elaine Brostuen, 58, of Centennial, Colorado, passed away peacefully on April 9, 2019 in Denver, Colorado. Friends and family may share memories and leave their condolences at www.newcomerdenver.com/Obituary/170723/Susan-Brostuen/Denver-Colorado. A visitation at 10:00 AM and memorial service at 11:00 AM for Susan will be held on Thursday, May 9, 2019 at Newcomer Funeral Home, 190 Potomac Street, Aurora, Colorado. The memorial service will be officiated by Pastor Jim Engel. A native of Williston, North Dakota, Susan was born to John Brostuen and Elaine (Kunde) Brostuen on November 30, 1960. The oldest of six siblings, she grew up in Williston where she was confirmed in the Lutheran faith and attended public schools, graduating from Williston High School in 1979. Her childhood memories bring back days of being a typical happy kid growing up in Williston in the 60’s and ‘70’s. She, along with friends and siblings, enjoyed the freedom of riding bike around town, walking down to Main Street for shopping, having a burger at the Castle Café, jump roping and hop-scotch, and watching movies at the drive-in theatre. She was a wonderful big sister helping Mom with the younger ones and as she got old enough to drive, took us other siblings out to Lake Sakakawea for swimming and sunbathing and on trips to Minot for shopping in the mall. Other fond childhood memories include family dinners, cheering on her favorite baseball and football teams, drives out to the country for sledding in the winter, camping trips and backyard barbeques in the summer, and holiday and family birthday celebrations all year long. Following high school, Susan graduated from the interior design program at UND-Williston. Susan had a passion for decorating that she enjoyed throughout her life. She loved holiday decorating most of all. In the spring of 1982, Susan moved to the Denver, Colorado area. She would call Colorado home until her passing. Through most of her life in Colorado, Susan worked in the mortgage industry. She took great pride in helping people achieve their dreams of home ownership. She was a devout Colorado Rockies baseball fan and treasured the opportunity to enjoy a baseball game with friends and family. Colorado’s sunny summer days cultivated her love for flower gardening, especially her rose garden including her favorite, the Mr. Lincoln rose. Susan enjoyed traveling with family and had a love for the Rocky Mountains of Colorado, Black Hills of South Dakota, the Oregon Coast and Washington’s San Juan Islands. Susan was a very devoted dog mother to her pups that were so precious to her throughout her life, Chelsey, Bella, Bobby, Gracie, and George. They all were a big part of her life and she included them on many of the fun family trips to the Colorado mountains, Black Hills of SD, and the coastline of the Pacific Northwest. Susan is survived by her mother Elaine of Aurora, CO, her siblings: Chris (Sheila) Brostuen of Williston, ND and their daughter Sierra (Casey) Odegard of Shepherd, MT and their children Emersyn and Landry, daughter Jenna Brostuen of Williston, ND and her daughter Tyleigh, and son Colton (Kelsie) Brostuen of Williston, ND and their children Beckette and Blakely; Ron Brostuen of Beaverton, OR and daughter Brittany (Ken) Boeckl of Chimacum, WA; Nancy Brostuen of Littleton, CO; Diane Brostuen of Littleton, CO; and Dennis Brostuen of Beaverton, OR. She was preceded in death by her father John, grandparents, and many loving aunts, uncles, and cousins. The family requests that memorials be given to the Morris Animal Foundation, www.morrisanimalfoundation.org a global leader in supporting studies to find solutions to serious health threats to animals, improving the health and quality of life for dogs, cats, horses, and wildlife around the world. Add your memories to the guest book of Susan Brostuen. Thinking of Susan, I can't help but think of her ever-present smile that could light up a room. She was always so kind and welcoming, with such a love for life, her family and her animals. My heart hurts to think of the pain and sadness her family is enduring and I pray an abundance of peace and strength for all as their lives are forever changed. Susan, I still can't believe you're gone. It just doesn't seem real. You've been a part of my life for almost 15 years. I will miss our long phone conversations, talking about our pups and Rockies baseball. I know how you loved your baseball and your sweet doggies. I love you my friend. Until we meet again. I will always remember Susan as a very caring person who loved her family and dogs very much . We made a trip to Denver Colorado some years back and stayed with Susan and had a pizza party with her pet dogs at the time (Bobby and Bella). We kept in touch over the years , she will be missed a lovely person with a kind heart. Hey big sis. You left me way too early. How I miss talking to you about life, our doggies, sports, and our mortgage careers. I love you and miss you dearly. Until we meet again. Your brother, Ron. In the world of Mortgage it is large but so small. So glad that I met you as part of the SPM family and that we continued to work together again. I loved that we could talk about everything. Rockies and Broncos. I will always remember they day you brought in Bobbi and Bella to the bring you dogs to work day. So much fun. I will miss very much my friend. I know that you are no longer here physically but will always be here in my heart. Until we meet again. Susan, my dear friend what can I say? We met over 32 years ago - me a soon to be divorced mom - you a fun loving single woman! But boy did we have fun -shopping...Kevin Costner movies...sunbathing...road trips to Estes Park...gardening...Rockies and Avs games...did I mention shopping (?). Our doggies, 1st Bella and Bobbi, then Gracie and George playing with my Sophie over the years! Of course for a while there we did have different political views...but then as you told me I finally came over from the dark side (lol)! You will be greatly missed - may you find the peace you were looking for in Heaven! My thoughts and prayers are with your family.